I recently travelled to the EMS gathering in Cork, Ireland1. This is a fantastic conference that brought together EMS clinicians from around the world to learn, share and have fun. This conference has been running for several years now and works around the concept of a ‘gathering’, in essence it’s a meeting of like minded people who have a common purpose. That meant that this involved a whole range of agencies including EM, EMS, Army, Coast Guard, RNLI, Civil Defence, Government, Order of Malta and no doubt many more that I forgot. The podcast below gives a review of the event with guests including Aidan Baron who you will know from social media. Now, the sound quality is not fantastic here as we struggled a little to find a perfect room for the event, but I hope you can tolerate this and get to the learning points. Don’t forget to check out Mike Abernathy, Kieran, Damian, Donald J Trump, Morgan and more at 23mins. There were so many, but these are a few that we remember well or that I was able to get to. Cardiac arrest management: An incredible session where we witnessed a theatrical cardiac arrest that explored how we deal with relative present at the end of a unsuccesful cardiac arrest. They performed the arrest on stage and with such skill that everyone in the audience was transported back into those emotions that we all feel when we are faced with tragedy, and when we are required to help family members navigate that life changing event. The panel discussion afterwards explored how we can do this better (be honest) for the family, but also to ourselves. There is no doubt that our exposure to serious illness and injury, and in particular to unexpected death carries potential harm. If you want to know more than I would strongly recommend you listen to the podcast on Moral Injury with Esther Murray2. Patient narrative sessions: A really powerful session where we heard from patients. We heard from patients who have experienced and conquered incredible challenges in life, be that accident, sensory impairment or drug addiction. What we gained from this session was an understanding of how our work fits into the wider world of emergency medicine. It was a sobering session where we all learned that our words and actions can have profound effects on patients and families. Sometimes those words and actions can be really negative, but on the flip side there were real examples of how spending time with patients, understanding their perspective and helping them on their clinical and personal journeys can be really important. We heard from one speaker who was previously a drug addict who interacted with medial services a lot, and not always in a positive way. He is now clean and enrolled on a degree course. Amazing work. Learning with leisure: This concept blends a clinical topic with a related outdoor activity. So instead of learning about human factors in a classroom or simlab, why not do it at the waterfront with rescue crews? We were able to choose from a wide range of small group options including sepsis, water rescue, extrication, aircraft emergencies and more. I like this concept as getting people out and active is a great way to embed learning, to make it real and to permit people to share their own experiences and wisdom. I had the opportunity to observe the ATACC team3 on the extrication workshop. This involved a whole range of different scenarios own the harbour. I’ve heard a lot about the ATACC teaching methods and it was really interesting to see these in action. I’m on the waiting list to do their course and can now completely understand why people rave about their teaching methods. This was high level, really intense simulation with experienced feedback and learning. Chris Luke on nightclub medicine: I know Chris from years back when he used to to work in England. At that time he started the concept of nightclub medicine in the days of warehouse parties and acid house. Working with the largest nightclub in Europe at the time, Cream in Liverpool (I went there) he talked about how the 3 Cs have affected nightclubs, and as a result emergency department over the ages. The 3 Cs are Cocaine, Conflagration and Conflict, and whilst Cocaine is now somewhat more varied the themes are still very much in evidence. Chris talked about how the modern world has a whole range of pharmacologies that are almost always too difficult to specifically identify. We can spot toxidromes and we can treat supportively, but beyond that it’s just basic emergency medicine care. 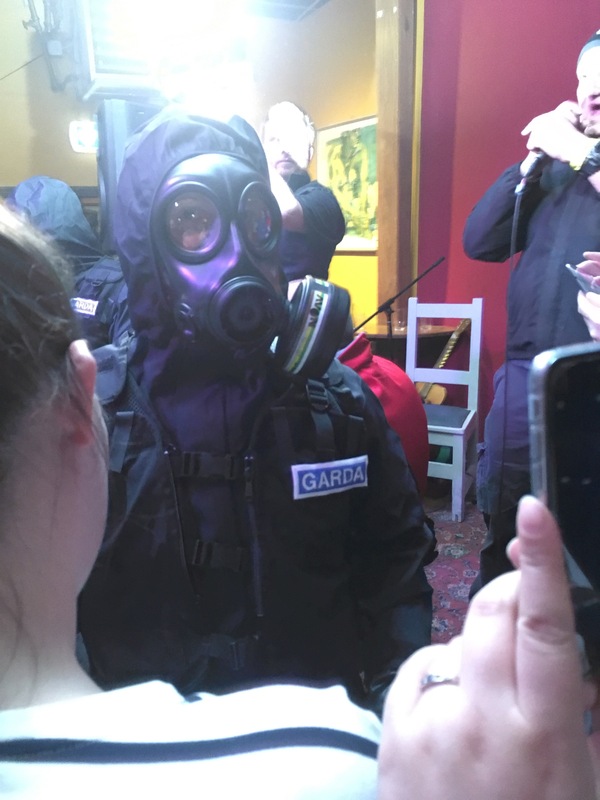 Following the talk there was a simulated major incident chemical release in the club with live demo of police response. It’s not often that you see a live TASER demo, in a nightclub, at a conference! Also check out the Loop4 and David Caldicott5 on pill testing at festivals (and more). The EMS team put together some great videos that you can follow on the facebook site. I’ve put a couple on below, but please visit their site for more. The last event was learning through the ages at Fort Camden. This was again a round robin of events that allowed participants to choose their own learning journey, rounded off with open air panel discussions and finally a display of military EMS from the Irish Army. This was clearly not your usual conference! Basically you should consider going to this conference. It’s friendly, it’s great learning, it’s different and it’s high quality. Keep an eye out for 2019 dates. EMS Gathering. 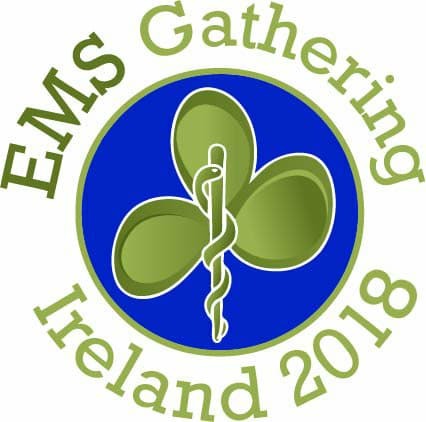 EMS Gathering 2018. https://www.facebook.com/EmsGathering/. Published 2018. Accessed September 28, 2018. Moral INjury. St Emlyn’s. https://www.stemlynsblog.org/wp-admin/post.php?post=33545&action=edit. Published 2018. Accessed September 28, 2018. ATACC UK – The ATACC Group. ATACC Group. https://www.ataccgroup.com/atacc-uk. Published 2018. Accessed September 28, 2018. Pill testing. The Loop. https://wearetheloop.org/. Published 2018. Accessed September 28, 2018. Dr David Caldicott – Researchers – ANU . Australian National University. https://researchers.anu.edu.au/researchers/caldicott-dge. Published 2018. Accessed September 28, 2018.